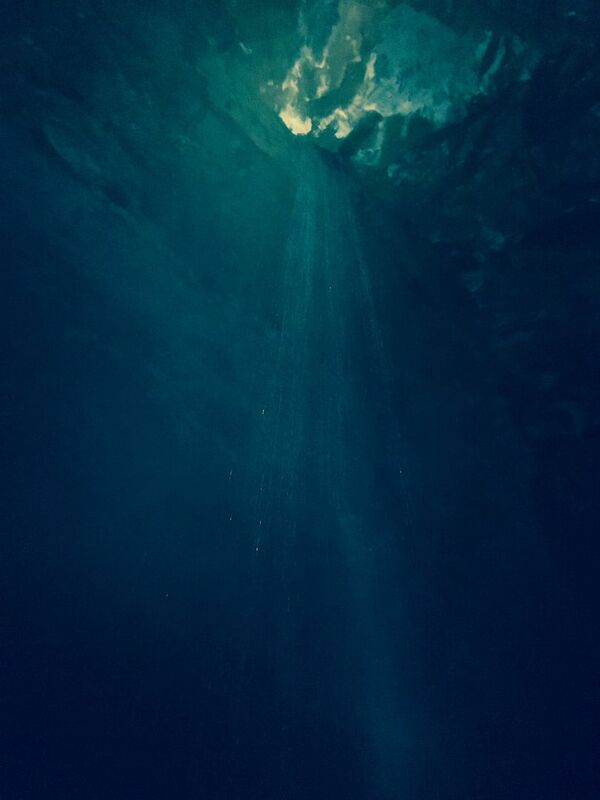 "Time is the least thing we have of"
In April 2016 a team of slackliners tried traversing La Verna cave on a highline: a 2,5 cm wide strap strung from one end of the chamber to the other, 100 m above the deck... Success would have meant a world record, the video you could find at the webcite. Chateau Laas was built in the 17th century and the name allows you to assume that you get the flair of the typical Chateau as you might have seen in the Loire area. When you get there, you still feel the bourgeois flair for a moment, but it disappears when you see in the park the modern luxury bungalows built on the trees (dreams on top of the tree without electricity accommodating 2 to 5 people – enjoy the romantics of the 21st century). I think there are 5 bungalows and the most romantic one is at the river side. 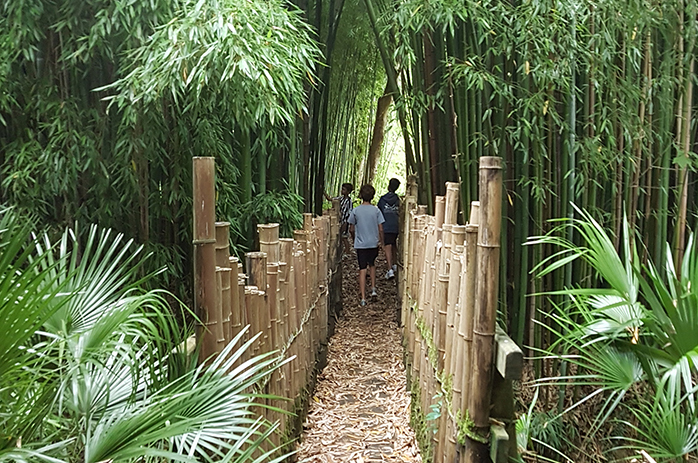 And what is not typical for the French chateau is the bamboo forest at the river side and it is so wild that it makes you feel for a moment you were in Japan or China and somewhere hidden is another bungalow, in which you would like to escape for a night or two – listening to the roaring Gave d’Oloron. 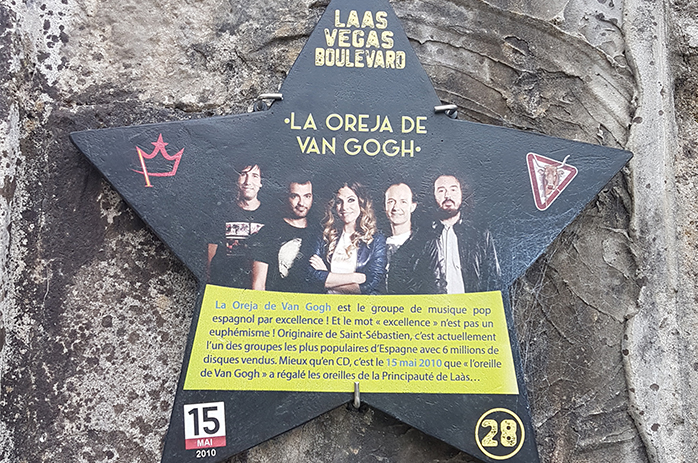 In summer Laas is famous for its music festival, to see who was there stroll through the ‘Laas Vegas Boulevard’ and look for the small boards in form of stars on the walls. And then move to Auberge de la Fointaine as Brigit Bardot has done (according to the star board) for lunch or dinner and the day is perfect (Chateau Laas is 15 min drive from La Villa Russe). "It is so wild that it makes you feel for a moment you were in Japan or China"
"In summer Laas is famous for its music festival, to see who was there stroll through the ‘Laas Vegas Boulevard’ and look for the small boards in form of stars on the walls."